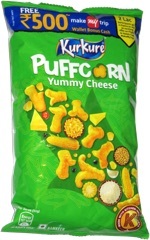 Taste test: These potato chips were crisp with a great crunch and an awesome flavor, really just delicious. They were loaded with great garlic taste, with just enough cheese mixed in. Sort of a Chinese food-like taste. 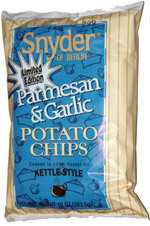 The bag said that these are a "Limited edition" but we hope that Snyder keeps them around for a long time. Smell test: Very nice sweet garlicy smell.